Cheese has high source of calcium content compare to any other dairy products and its an ideal food for growing kids. I make many kind of bread recipes, but I personally found this one to be the most favorite with her, as the melting cheese inside the hot bread rolls makes it taste heavenly. Just love to have it with tomato sauce. Bread Slices - 5 no. Cheese Slices - 5 no. Trims the bread slice edges. Roll it to thin slices as much as you can. Place cheese slice (one per bread slice). Throw in the crushed garlic on top of each slice. Sprinkle some chilli flakes and salt. Finally dash in the coriander leaves. Slightly brush the rolls on each side with melted butter. Heat the griddle, spray / grease some butter and place the rolls 2 to 3 at a time. Fry all sides golden with even turn ups. 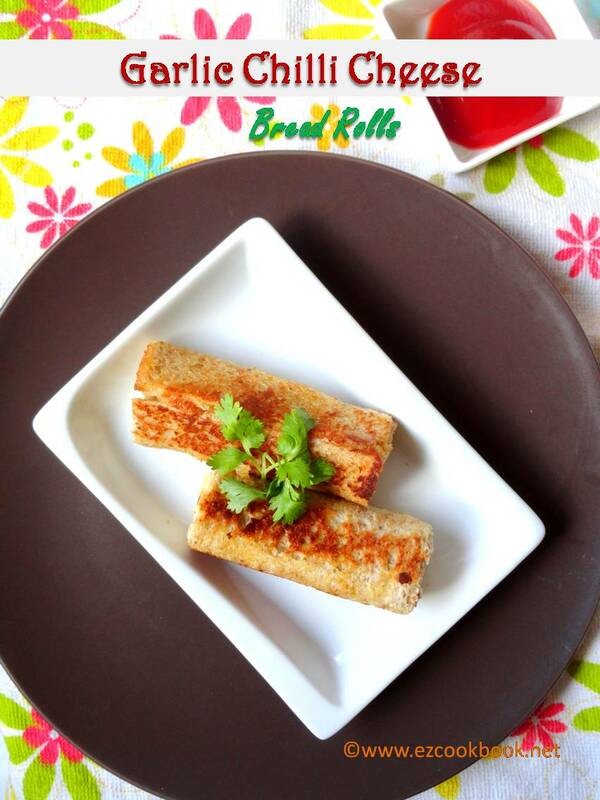 Serve this tasty crispy bread rolls with tomato sauce. For variation try with paneer bhurji and other vegetables like potato, cabbage to enjoy the roll-ups. loved these cheesy rolls.very tempting! loved these bread cheesy rolls, yummy and inviting. Cheesy and yummy rolls I like all variations with bread!!! 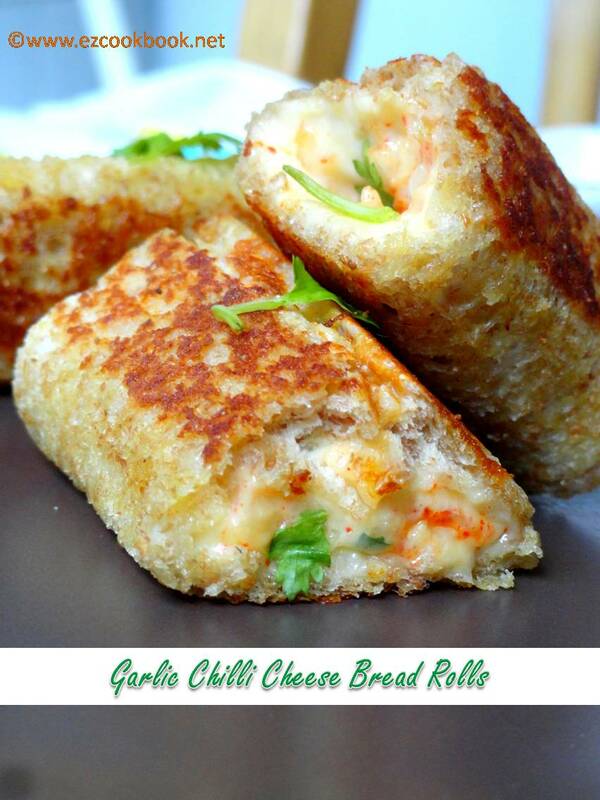 :) Nice clicks too..
Wow, so cheesy and tempting..
Wow, this looks like a to die for recipe! So simple & tempting!